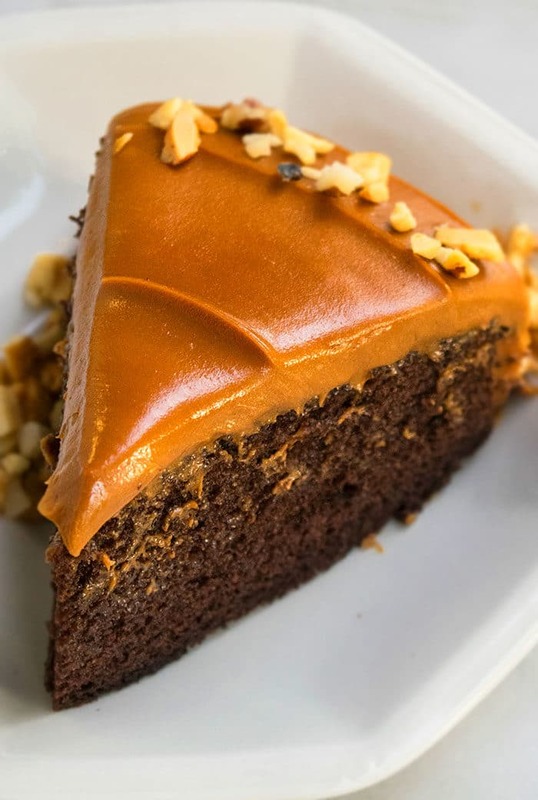 The best, classic, old fashioned, quick, easy chocolate caramel cake recipe, homemade with simple ingredients from scratch. Soft, moist with caramel icing. 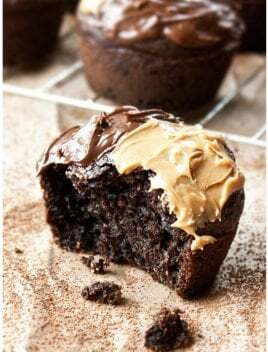 The rich chocolate flavor balances the sweetness from the caramel icing perfectly. 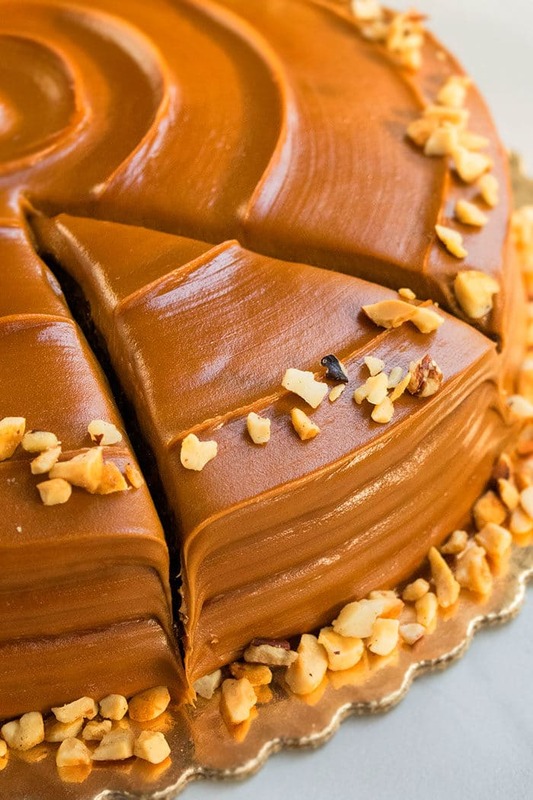 However, this should not be confused with a Southern caramel cake, which is different and is composed of a vanilla cake, topped off with caramel icing. This is a slow and steady process that takes about 2 hours. Please don’t rush, since that can burn it. If you are in a rush, you can use a candy thermometer. It’s ready to be removed from heat when temperature is about 240 degrees. 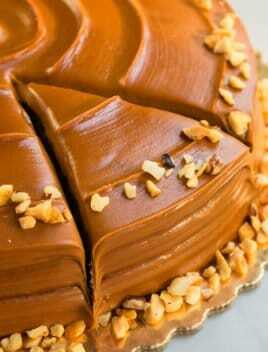 How to make caramel cake? Let it cool and thicken. 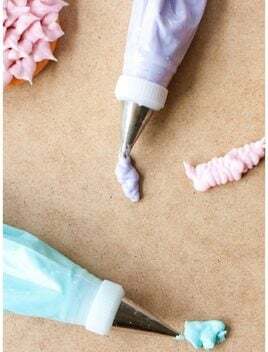 Pour it on top of cake and make swirls. Does caramel cake need to be refrigerated? Can you freeze caramel cake? I highly recommend refrigerating cakes to prevent them from spoiling and going bad plus they last longer, when stored properly in a sealed container in the fridge. 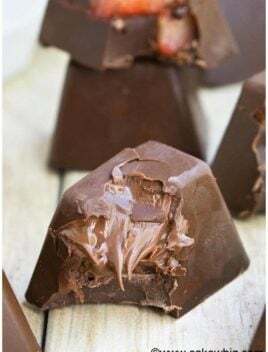 As for freezing, you can freeze the chocolate cakes in sealed freezer bags but not the icing since that does not thaw well and can sometimes separate. 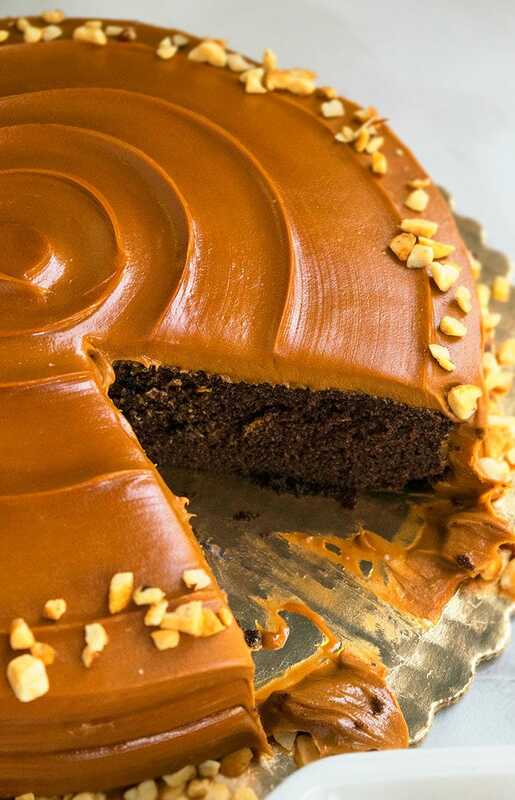 How do you thicken caramel icing? You can cook it for a bit longer. However, remember that it thickens significantly as it cools down at room temperature. 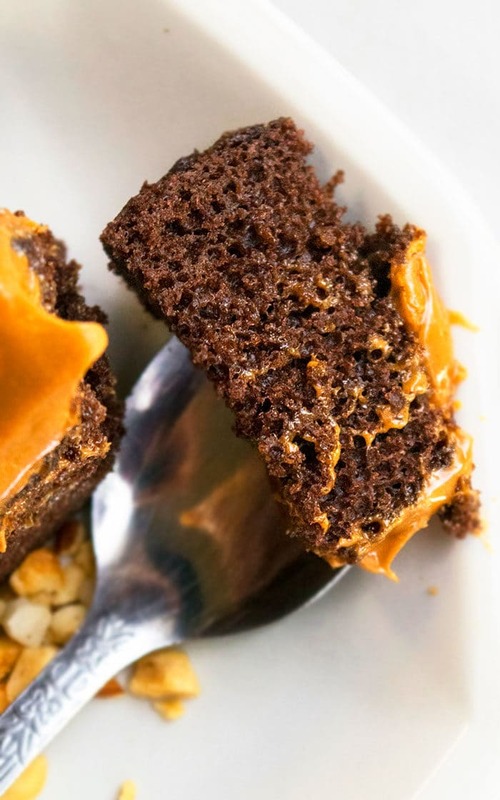 Salted caramel cake recipe– Add some sea salt, when you are making the icing and use that. Caramel poke cake– Bake the chocolate cake, as per the recipe below, in a rectangle cake pan (Dimensions: 13×9). Allow it to completely cool down. Poke holes with a bubble tea straw. Pour caramel sauce all over the cake. Spread Chocolate Buttercream Frosting or American Buttercream Frosting on top. Caramel pound cake– Bake this Buttermilk Pound Cake (From Scratch) or this Cream Cheese Pound Cake or this Sour Cream Pound Cake and make the caramel sauce, as per the recipe below, and drizzle it heavily on top of the cake. 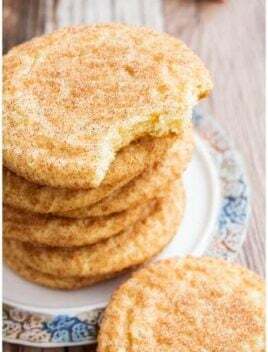 Add toffee bits– Sprinkle that on top of the prepared cake to give it a little crunch and it will also make it look pretty. Add chocolate chips– Sprinkle mini chocolate chips on top of the cake to add another source of chocolate and it’s also a pretty cake decoration. Caramel consistency- If the caramel is too thin, cook for a bit longer and it will also thickens a lot, as it cools. If it’s too thick, mix in a little heavy cream to thin it out. 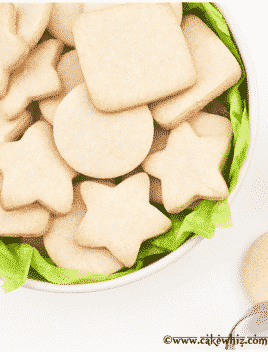 Use nonstick saucepan– For making icing because this prevents burning and sticking. Use unsalted ingredients- Because this prevents this cake from becoming too salty. In a large mixing bowl, add eggs, milk, oil, vanilla extract and mix until smooth. Keep aside. In another mixing bowl, whisk together sugar, flour, cocoa, baking powder, baking soda. Dump the dry mixture into the wet mixture, alternating with the hot water and mix until just combined. Pour batter in a greased/floured round cake pan (Dimensions: 9×3). 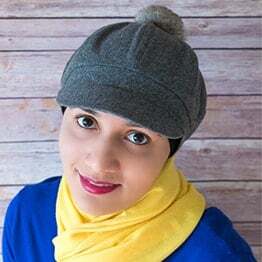 While the cake is baking and cooling, prepare the icing: In a nonstick saucepan, add butter, evaporated milk, and sugar and cook over medium heat until everything has fully melted. Reduce heat to “Low,” stirring often for the next 1.5-2 hours, ensuring it doesn’t burn and it thickened and darkened to a golden brown color. It’s ready when it can coat the back of your spoon. Let it cool for 30-40 minutes and allow it to thicken even further. Pour this on top of the cooled cake and use a spatula to spread it out and make swirls on top. Sprinkle some chopped nuts around the top and bottom of the cake. Enjoy! 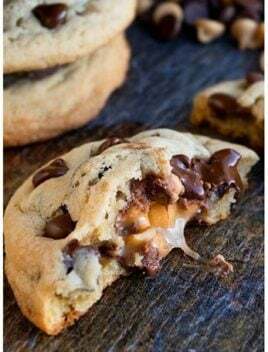 Very nice combinations of Chocolate and Caramel and an easy recipe for a new baker as well. Thanks a lot for sharing.